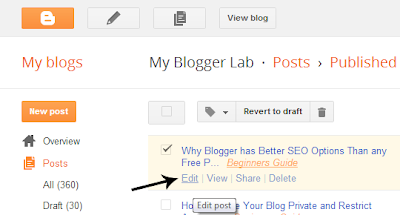 The first thing you need to do is to Login into your Blogger account. After logging in go to Your Site >> Posts. 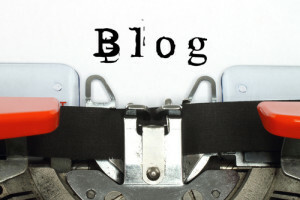 Now it would display a list of the titles of the articles which are published on your blog. 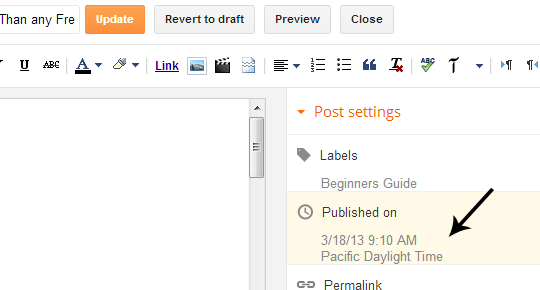 You can search for the article through the Search bar by typing the title of your article. Upon finding the article, hover over its Title and you will be able to see “Edit Post” button, just press it and head to the next step. It would take you to the Post editor. Now make all the necessary changes in your content. Once you finish editing your article, it’s time to update the publish date of your post. 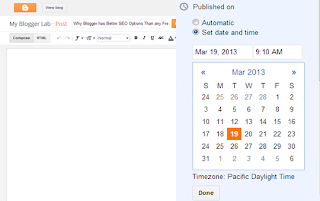 Now go to Post Setting >> Published on >> Set date and time (You will find it on the right side of your screen). Now you will be able to see a small calendar type gadget. At this point, you can change the date and time of your post to the most current one. 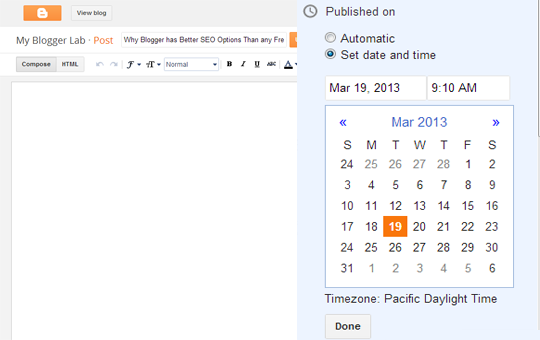 Press the done button to save the changes that you have made to your date and time. After doing all the changes, press the update button present the top of your screen. That’s all, now you your article have a new date and time. Furthermore, if you have chosen the current date then, it would appear at the top of your homepage. We hope this article would help you guys in keeping your content fresh and recent. We would like to ask you a question, how often do you edit your articles, how often you make changes in the publish date? Let us know by commenting below.